The Dagyab e.V. was founded 22 years ago on the initiative of the high Tibetan dignitary Dagyab Rinpoche and since then has been able to establish some remarkable projects. 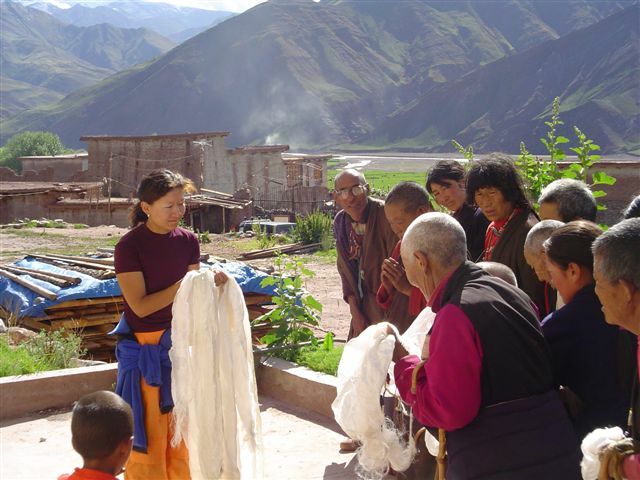 The people from Dagyab and Minyak are highly motivated by the donations for the four areas of traditional Tibetan medicine, study, art and nunneries (see details under Projects!). They understand very clearly that this support is a great opportunity for them. Meanwhile, we have also launched projects of Dagyab Tibetans who have the same right to support. Please inform yourselves about our projects. We would be happy to provide you with further information.